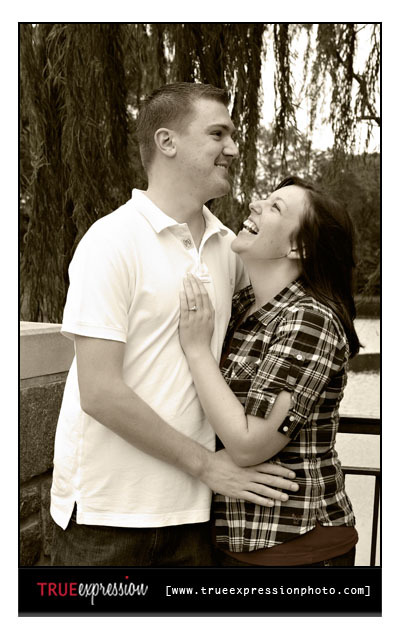 True Expression Photography Blog: Madison and Jason: Engaged! 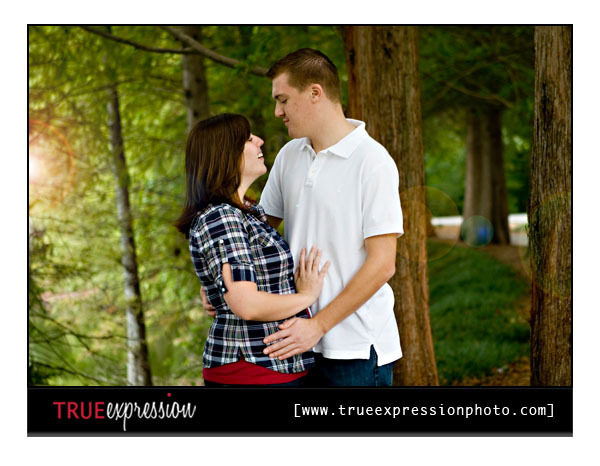 I am so lucky to that I am always getting to photograph the most awesome couples! 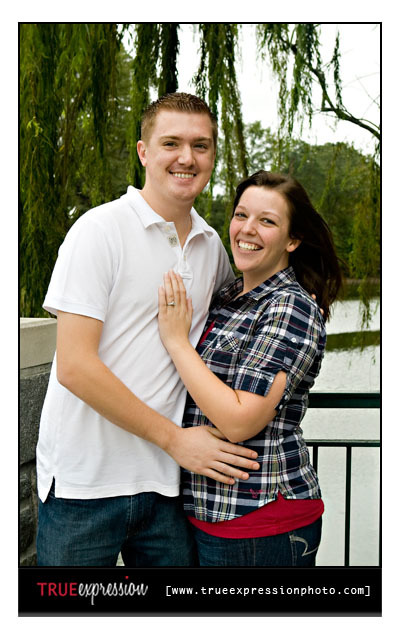 Madison and Jason are no exception. 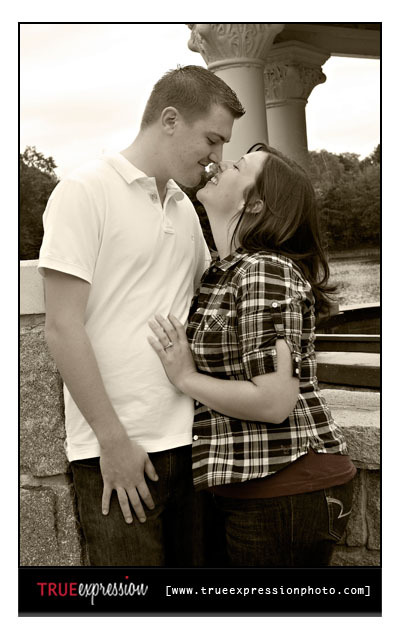 As soon as these showed up for their engagement session, I knew we were going to have fun together. 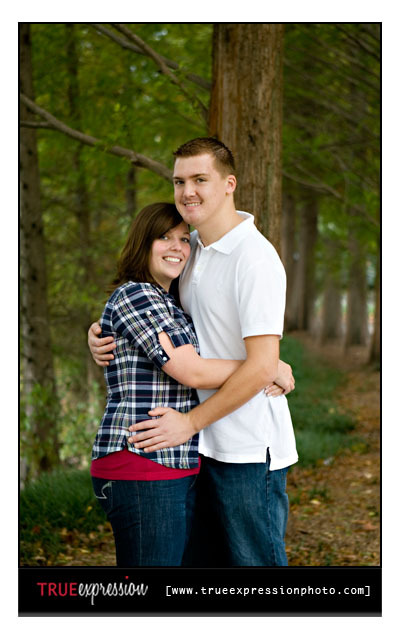 Madison and Jason met through mutual friends and have been dating for about two and a half years. The way they are always making each other laugh is just too cute! We were lucky enough to have perfect fall weather to shoot these photos. 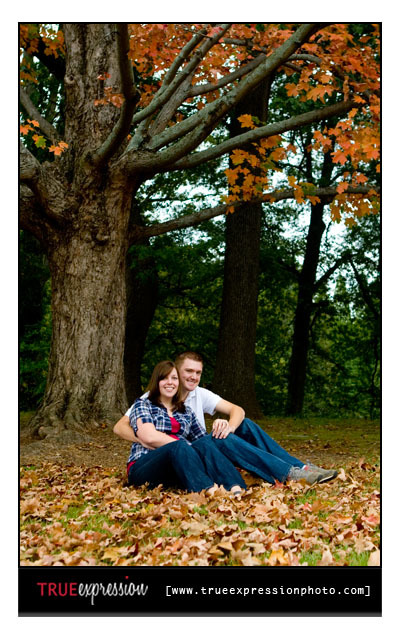 Before I started shooting their session, I noticed that the leaves on one tree had started changing colors. 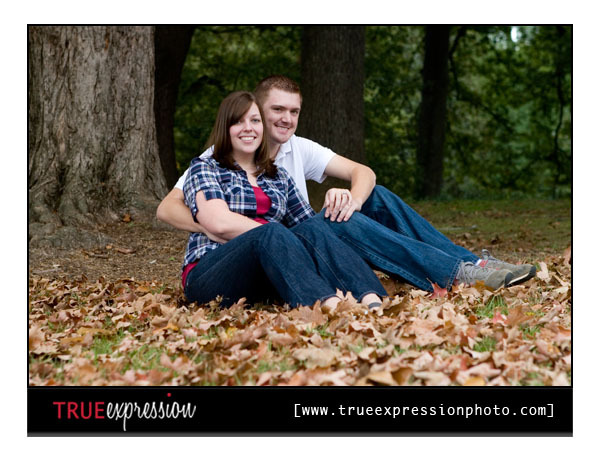 So I took the opportunity to get some nice shots of them sitting in the leaves under the tree. I love this shot of them. 5 & 7 are my favs!! great work! Fall/Autumn has to be a fav season!!! pity it's 6 months away here in Aus! I absolutely love the interaction between Madison and Jason! 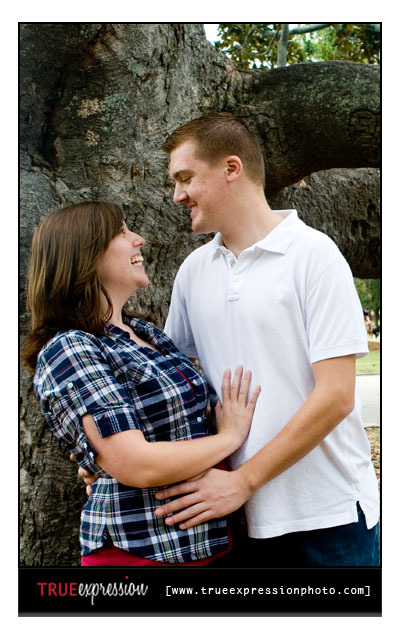 They look like they have a playful, really fun relationship. Way to capture it Kelly! 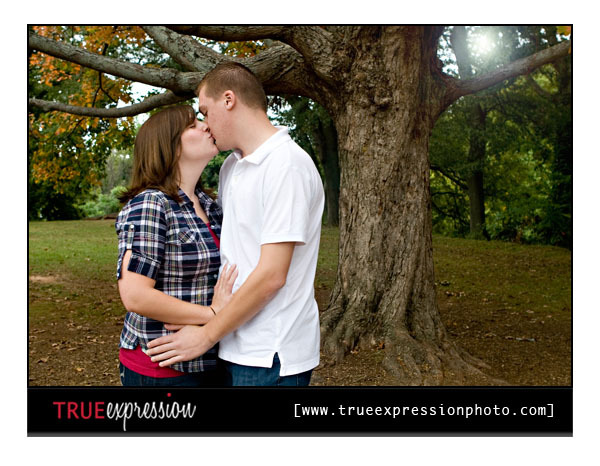 Love the one of them kissing in front of the tree. They look like they really enjoyed the session!